A high energy action thriller about a group of mercenaries on the hunt for a mysterious briefcase, Ronin is non-stop rollercoaster ride with showcase car chase scenes and many ruthless guns for hire looking out for their own interests. In France, Irish revolutionary Deirdre (Natascha McElhone) assembles a group of mercenaries to forcibly seize a heavily protected briefcase from a group of criminals looking to sell it. The patchwork team include the American Sam (Robert De Niro), the Frenchman Vincent (Jean Reno), low-key wheelman Larry (Skipp Suduth), former KGB agent Gregor (Stellan Skarsgård) and the tightly wound Spence (Sean Bean). Despite being outnumbered, Deirdre's group prepare an ambush and strike hard. But there is a mole in their midst who will betray them, forcing Sam and Vincent to team up and try to salvage the operation while avoiding ruthless Russian terrorists, while Deirdre's boss Seamus O'Rourke (Jonathan Pryce) is forced out of hiding to try and mop up the mess with extreme measures. Ronin, which is the Japanese term for disgraced Samurai wandering the land in search of a cause, is a surprisingly good film about not much. The story is patchy at best. The briefcase is the most MacGuffiny of MacGuffins, an undefined, never explained target, and the groups competing for its ownership are faceless shadows, labelled simply as "The Irish" and "The Russians". John Frankenheimer focusses instead on the dynamic within the group of mercenaries, where trust is in short supply, and hired guns conceivably working for the same cause could turn out to be the most lethal of enemies. 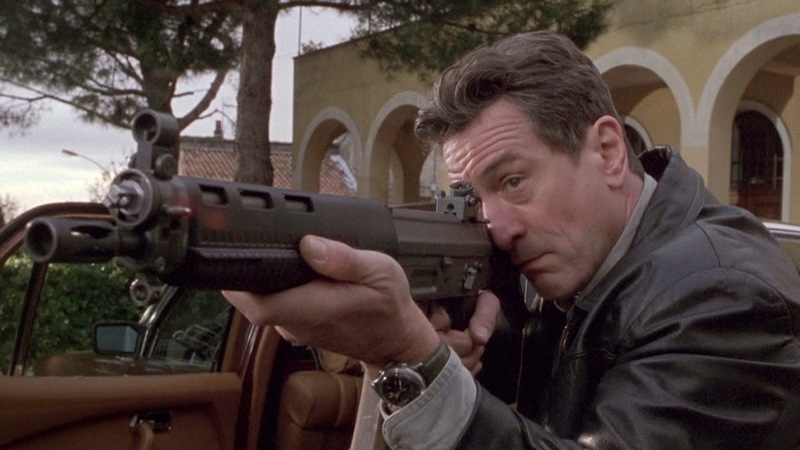 For an action movie this requires superlative performances to highlight diverse personalities, and Ronin is blessed with an abundance of subtle acting talent. 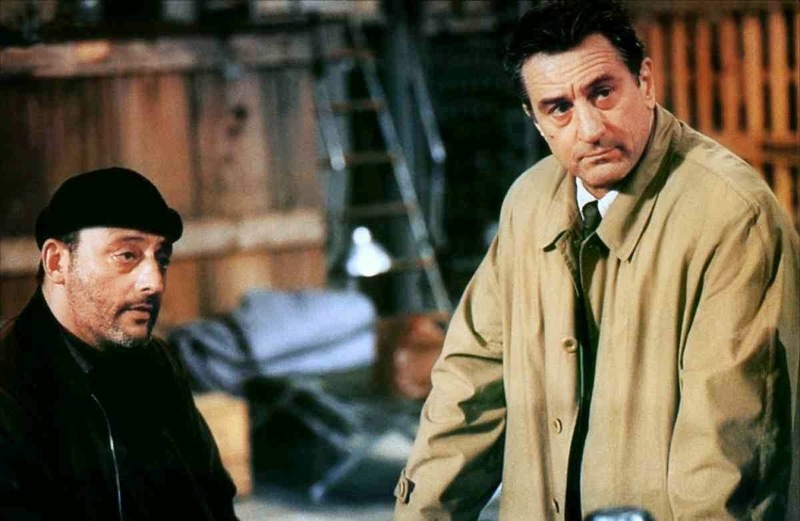 De Niro and Reno hold the centre of the film together with understated steel, while McElhone, Skarsgård and Pryce provide animated support dripping with the self-serving juice that powers the dark profession. And within the context of desperate mercenaries unsure of any cause except their own, Ronin unleashes an elated celebration of the car chase, Frankenheimer delivering not one, but two prolonged scenes of choreographed vehicular carnage through the narrow, twisty streets of France. Directed by Frankenheimer himself on a mix of rural roads, busy freeways, and congested city streets, and featuring jaw-dropping stunts, no special effects and rational editing, the car chases are there to be celebrated as among the most kinetically thrilling ever put to film. And as if to prove that he can also create drama out of almost static scenes, Frankenheimer also throws in an extended bullet extraction sequence not for the faint of heart. Ronin ends with a few too many characters rising up after being shot, and a rather contrived climax around an ice skating rink to give unnecessary profile to Olympic champion Katarina Witt. But this film is never about what is happening, just how stylishly it can be done.